12.10 Update – From the summer breakout this had a falling bullish wedge that ended up netting this another 20% gain from when I initiated coverage. 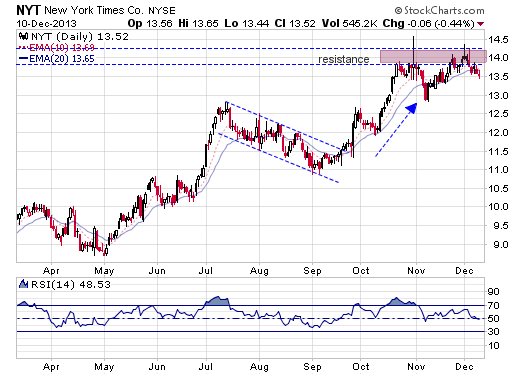 It`s starting to look a little tired so I would be a profit taker near these levels as it is struggling near the $14 level. 7.29 Update: Continues to be a stellar chart pattern with a falling bullish wedge. 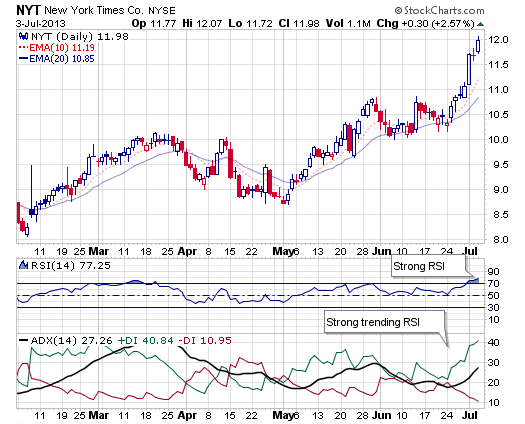 This has had a mild pullback and looks ready to bust to the upside. 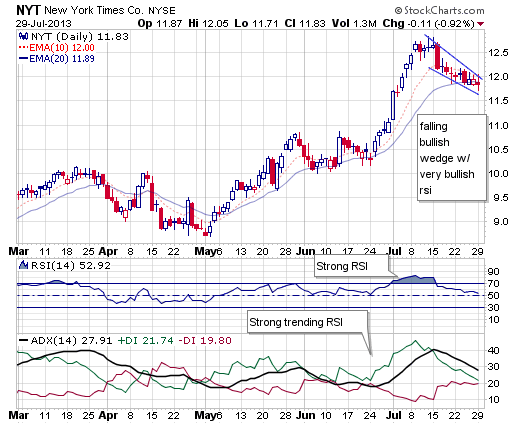 Overall I think this stock will do well as the trend remains firmly up and the indicators are suggesting higher prices. I wouldn’t chase though as this would be a good buy on a pullback near $11.